The Bob A Malhotra in Petersburg, West Virginia provides the following products. To learn more about each insurance product, click on the links below. Get better auto insurance coverage with Bob A Malhotra. Our knowledgeable, friendly agents are ready to answer your questions, search for gaps in coverage and help tailor a policy for your Petersburg household. To deliver these types of personalized policy solutions, Bob A Malhotra has teamed up with Nationwide. Nationwide has the policy discounts, coverage programs and claims service needed to serve the personal priorities of different Petersburg drivers. Maybe it's a family plan with a teen driver. Maybe it's additional motorist services like rental reimbursement, towing and labor or roadside assistance. Maybe it's coverage for an everyday car as well as a motorcycle, RV or some other specialty vehicle. Let Bob A Malhotra explain exclusive programs and services available from Nationwide. The Vanishing Deductible® program is a great way to reward yourself for each year of claims-free driving, while the On Your Side® Claims Service offers extra peace of mind when you need it most. You'll have a choice of qualified auto repair shops in and around the Petersburg area, as well as a secure way to monitor the repairs. Give Bob A Malhotra a call at (304) 257-9364 to shop for an auto insurance policy with speed and confidence. You can also set up a time to talk in person. Our office is located at 442 Virginia Ave.. Need help understanding what's required by your home lender? Or how you can best protect your home's property value including the dwelling, other property structures, and the belongings inside the home? Let Bob A Malhotra make sure you don't miss that crucial detail about your homeowner's policy. Along with their general expertise of Petersburg home insurance, our agents will listen carefully to your questions and concerns. From there, it's a straightforward process to find the policy coverage that makes the most sense for your home and your loved ones. Everything from the age of the home to the age of the homeowner can mean new ways to save on your Petersburg home insurance. There are also exclusive Nationwide benefits programs, like Brand New Belongings® and Better Roof Replacement®>. These programs will make it easier to move forward should a covered damage occur. In the meantime, they offer extra peace of mind. You probably didn't build the house on your own, and nor should you have to wade through the details of a home insurance policy by yourself either. Let Bob A Malhotra demystify the process and help you understand how a policy protects you from covered damages. When it comes to something this important, you don't want to stay in the dark. Give us a call at (304) 257-9364 to discuss your policy. Or schedule an appointment with our office at 442 Virginia Ave. to talk about your concerns in person with Bob Malhotra and our staff today. No matter if you have a family, a spouse or are single, you need a life insurance plan built with the help of Bob Malhotra in Petersburg. Your plan is intended to provide you and the people most important to you with complete peace of mind, but you might be uncertain as to what kind of protection is best for your particular needs. Know that you have quick and easy access to professional help to ease your mental burden. If you’re unsatisfied with your current life insurance protection, or if you’re getting insurance for the first time, do yourself a favor and work with a life insurance agent who cares. When you’re ready, we’ll be waiting for you at Bob A Malhotra located at 442 Virginia Ave.,Petersburg,WV,26747. You’re also more than welcome to speak with Bob Malhotra directly by calling (304) 257-9364. Every business relies on a variety of specialized tools and equipment to operate successfully from day to day. Of all the important tools utilized by a Petersburg business, a good business insurance policy might be one of the hardest-working. 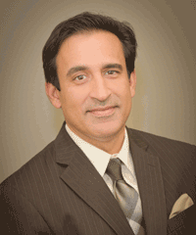 For years, Bob Malhotra has been helping area business owners select the right coverage. Your policy will help make sure that everything proceeds smoothly, even if unexpected circumstances arise. After all, the people you serve are depending on you, and a policy from Bob A Malhotra can help make sure you don't have to worry about the unexpected. A business insurance policy from Nationwide can be one of your most important commercial assets. Since it provides protection against a wide range of concerns, your policy has the ability to address many different risk-related outcomes. Even the most risk-aware business manager cannot foresee every potential setback. Your policy can help your organization solve even unexpected problems. Members of the Bob A Malhotra team are here to help and so is Nationwide's great network of customer service providers. You can count on your insurance team to assist with the claims process and much more. Discover improved coverage solutions today by calling (304) 257-9364. Our agents are here to make doing business simpler and more secure. Visit our 442 Virginia Ave. location today to begin exploring the personalized solutions we can offer.